During the latter half of the nineteenth century, newspapers throughout the United States featured a "Personals" column, wherein details of everyday life were announced to the general public. In today's world of HIPAA, signed consent forms, and privacy suits, the thought that anything could be published in the Personals feels beyond outdated. 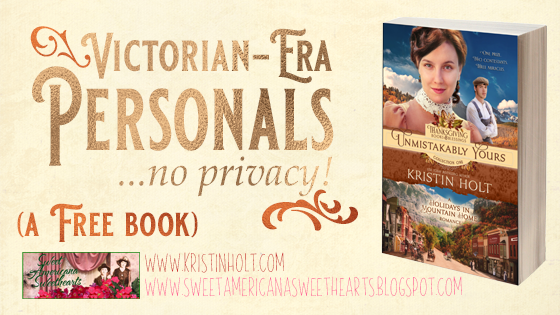 In my soon-to-be-published full length (~400 pages) novel, Unmistakably Yours (set in 1887), my characters discover the raw side of the Personals column, as news in the day of snail mail traveled as fast as in the days of Twitter. Here are a few fine examples published in the Personals of the Clay Center Dispatch of Clay Center, Kansas, on June 17, 1886 (about a year before my book is set). Personals, Part 1, The Clay Center Dispatch of Clay Center, Kansas on June 17, 1886. Oh, no. Look at the next one. Mr. Dan Smith will be out of town for four weeks on important business. I wonder if there's a man at home? Is the house prime pickings for a robbery? Personals, Part 2, The Clay Center Dispatch of Clay Center, Kansas on June 17, 1886. Personals, Part 3, The Clay Center Dispatch of Clay Center, Kansas on June 17, 1886. None of these seem terribly alarming, but can you imagine circumstances where you didn't want someone to know, say, that you were away from home, or that you'd "passed through town," or that you were about to close a business deal? "Hotel Personals" from the St. Louis Post-Dispatch of St. Louis, Missouri on November 2, 1888. Times have certainly changed. Instead of watching the Personals for sightings of important people, today's public snaps pics of celebrities and post them on social media with hashtags. I wonder what our Victorian-American ancestors would have thought, if they could see us now? 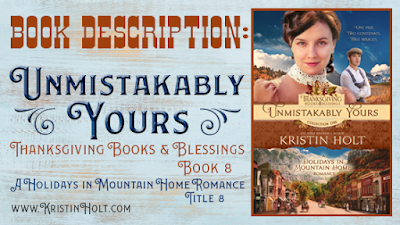 Unmistakably Yours is title #8 in a nine-author series: Thanksgiving Books & Blessings, and also within my personal series (title 8, by coincidence) Holidays in Mountain Home. This full-length novel (~400 paperback pages) has two separate romances, two happily ever afters, a battle over an empty bit of real estate, misguided matchmakers, and two people determined to never wed. You can imagine how well that'll work out. To read all about my secondary hero's backstory (everything that matters to who he is-- a chemist, a pharmacist, a former Union officer in the War of Southern Rebellion (yep, America's Civil War), and confirmed bachelor)... and the one woman who changes his mind, Miss Ina Dimond, whom we saw as the ditched housekeeper and cook in The Gunsmith's Bride. See PICTURES that served as my inspiration when writing these two AND most of a pivotal scene as these two fall in love. Read all about it on Jessica Baker's A Baker's Perspective Blog. Would you like an opportunity to discover my writing, FREE? Right now (for just a few more days), one of my novellas set in the same story world (Mountain Home, Colorado), with many of the same characters and places (though each and every story has its own romance with a resolution and happily ever after), and every single story stands alone. Pick up The Drifter's Proposal FREE on Amazon. Want a little more? 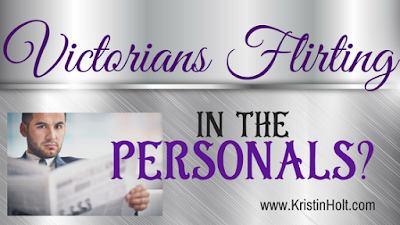 An interview, published today on Heart"Wings" blog shares more about me (advice for new writers, reasons why I write sweet romance, and more!). 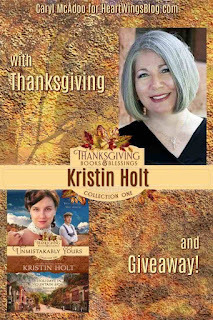 Read that post HERE.... and while you're there, throw your name in the Stetson to win one of two PAPERBACK editions of this new release! (at ~ 400 pages, it's a novel you can sink your teeth into... with light touches of a verified historical setting, TWO romances, no cheating, and two happily ever afters). I think our Victorian-American ancestors would be so shocked and embarassed by what they would see. After all, the word pregnant wasn't even allowed to stated aloud. So many euphemisms from that time period. I was raised by grandparents who were still using items from the turn of the century and with Victorican manners so I know how shocked they were in the seventies. I can't imagine what they would think now. So true, Sheila! And consider the clothing choices today, and what is now acceptable to wear in public... I think our Victorian ancestors would've fainted. Thank you so much for stopping by, contributing to the conversation, and sharing your memories. Thank you, Carla! Thanks for stopping by. I can imagine what they'd think. Just have to remember my mother. Hi Kristin. Miss you. I have a book coming out the 15th, Priscilla, The Widows of Wildcat Ridge, Book 1. I'm chuckling. Yes, I imagine your mother would've had very similar ideas to our Victorian American ancestors's. =) I miss you too! Congrats on the new release, Charlene! From Longhorns to No Horns!